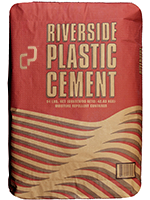 This cement is manufactured through a process of inter-grinding with plasticizing agents designed to enhance the desirable properties of Portland Cement-Based Plaster. Uses include plastering and stucco, as well as other masonry applications. Meets requirements for ASTM C1328; City of Los Angeles Approved.